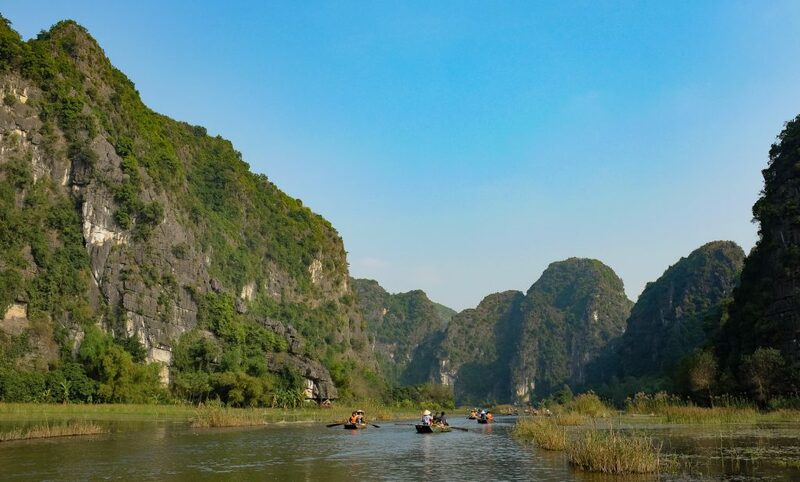 Do you have only one day in Vietnam? 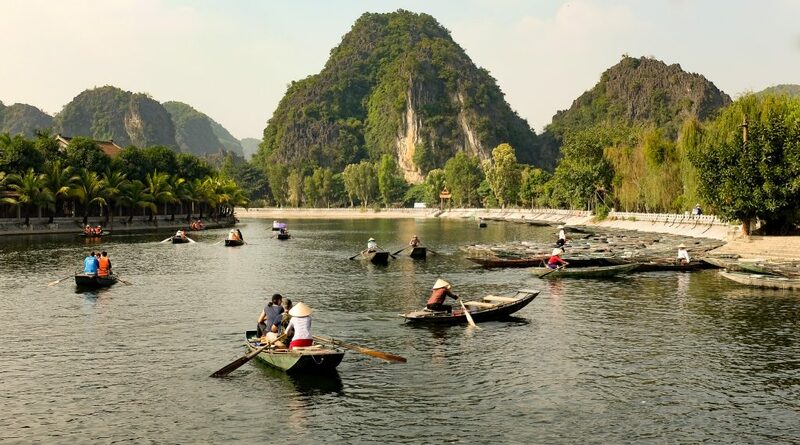 Then go to Tam Coc. It is one of the most wonderful views we have ever seen. It like walking into a painting. We booked a tour for one day from our hotel. We were picked up early in the morning and in two hours and a half, we were witnessing one of the most stunning views of mountains, lakes and rice fields. We found Tam Coc not very touristy, so don’t expect to find there fancy restaurants or hotels. At least, not at the moment, because it seems that they are building some hotels and nice places to eat there. Of course, if you want to stay more than one day, you will find some options. We started the day by visiting two temples built on the time the Chinese invaded Vietnam. We had lunch, not a very healthy one, but tasty and good for a meal. We had a wonderful boat ride for almost two hours. This was truly amazing, as you have mountains on both sides, you can see birds and animals near the water. After this, we enjoyed a sunset ride on a bicycle. Eventually, we traveled back to Hanoi. We booked the tour with Bamboo Travel and we don’t recommend them at all, as they locked us in the bus and left us there. The temperature was high and they didn’t care. They starting washing the bus, leaving us there. It was horrible. Just check the reviews before choosing the tour, even though the hotel is nice and you think the agency will be the same.